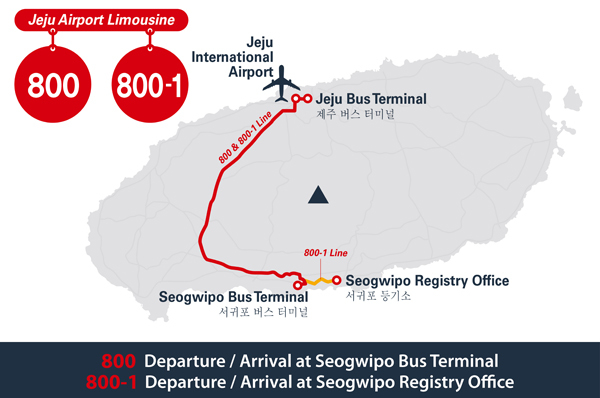 The Jeju Airport limousine 600 is fairly popular for travellers to travel between the North and South sides of Jeju island. Howeverr, not many people seems to know that there are also airport limouse 800 and 800-1 with fewer stops. Here is what you need to know so you can take the buses. 1. 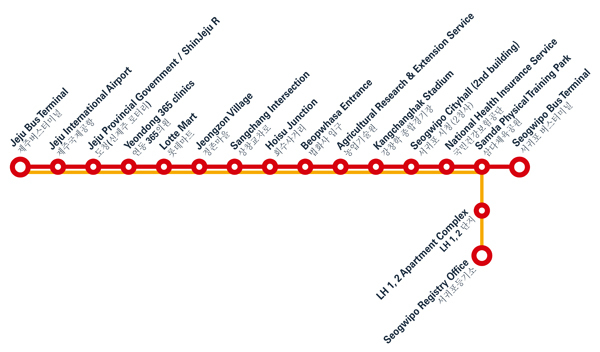 What are the airport limousine routes? 1) Pay using cash: After you board the bus, you can pay cash directly to the bus driver. 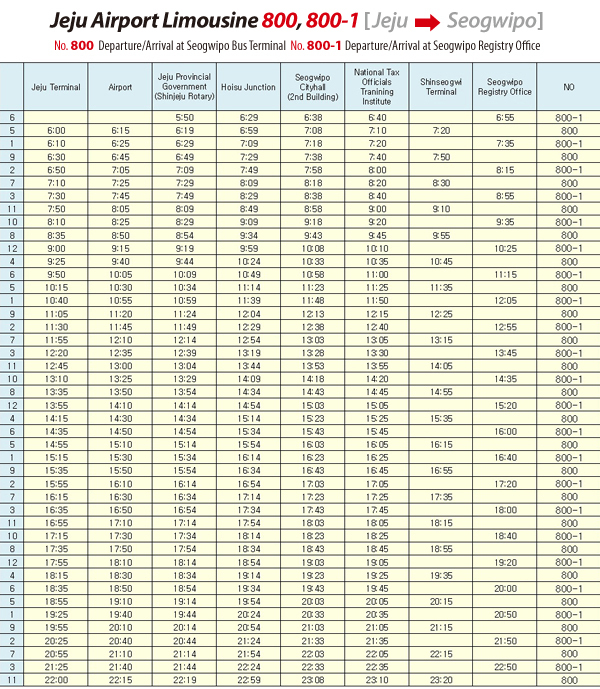 The bus fare rates are listed below. 2) Buy a ticket: A ticket can be purchased at the airport bus stop. You can purchase a T-money card at any convenience store. There is even one convenience store at the airport! 4. 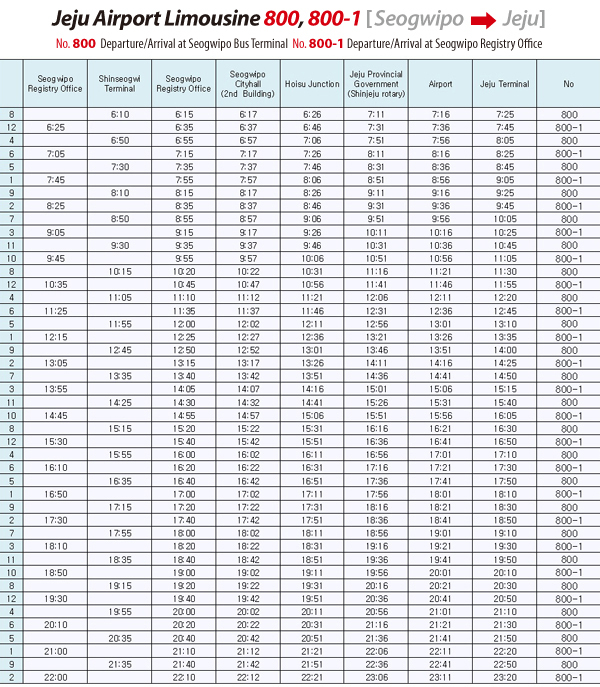 What time is the first and last airport limousine bus? 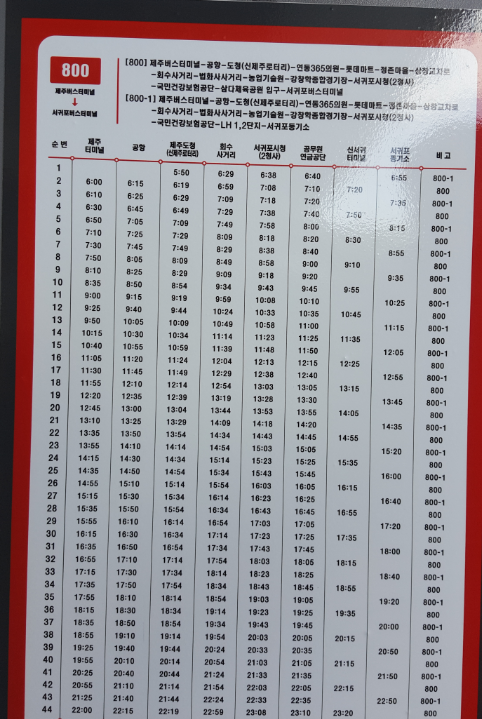 The bus first runs at 6:00 a.m. from the airport and continues at intervals of 14~16 minutes until 10 p.m. The final bus leaves the airport at 10:00 p.m.